How The Right Door Can Change Your Home? Although it may seem like such a small part of your home, however it has more of an impact than what you can imagine.  At Crown Windows, we design our doors so they are unique, tasteful and most importantly serves its purpose. In this week’s article, we have come up with many reasons as to ‘How the right door can change your home?’ Take a look below and see what we have come up with. Where to Start When Choosing a Door? With their being so many different designs and styles out there, knowing where to start can seem almost impossible! Not with Crown Windows, like we mentioned above we design our doors in Milton Keynes to be unique and to stand out from leading competitors. Getting back to main topic of this article, the fact that the right door can change your home is true! Although we may not think it, we naturally pick the things in our home that suits our personality, style and taste and believe it or not the same goes for the type of doors you have. So where to start you ask, well quite simply you need to look at what you would like your home to say about you. As your home represents you and your style, this is a very important factor when choosing your door. Specifically at Crown Windows, we offer a full host of quirky and defined doors for your home. If you prefer something which definitely has the WOW factor and is the main talking point of the home, then opting for something such as Patio Doors or French Doors will definitely give you this effect, as they open out far and creates a wide airy feel into the home. If this isn’t for you, and maybe you are looking for something a little more simplistic and sophisticated, then at Crown Windows we will definitely suggest you looking at something such as Wooden Doors or even UPVC Doors, these elegant and practical designs give a beautifully simplistic look. To conclude, during this article we have produced our advice and ideas on how the right door can really change the look and feel of your home. We hope that our ideas and thoughts have really helped you in the process of picking the right door for your home. If you would like any further assistance on any of the services we provide, please feel free to get in contact with our office team today. We are rated 9.8/10 by our customers on Checkatrade. Want to leave a review? Go to our Checkatrade account today.